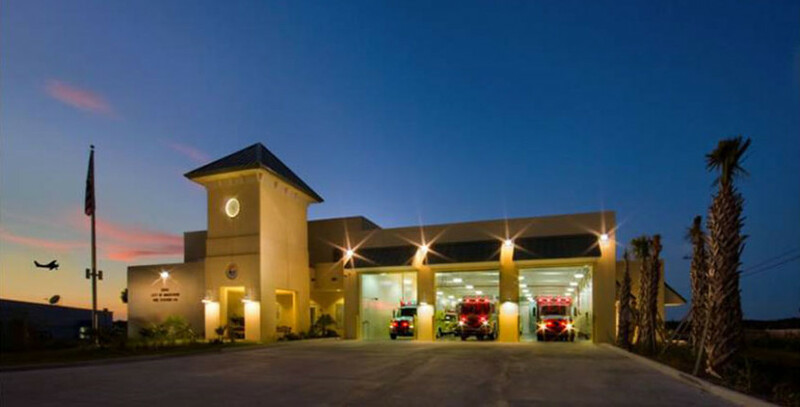 This Fire Station located directly on US-1 in Marathon Key, Florida. 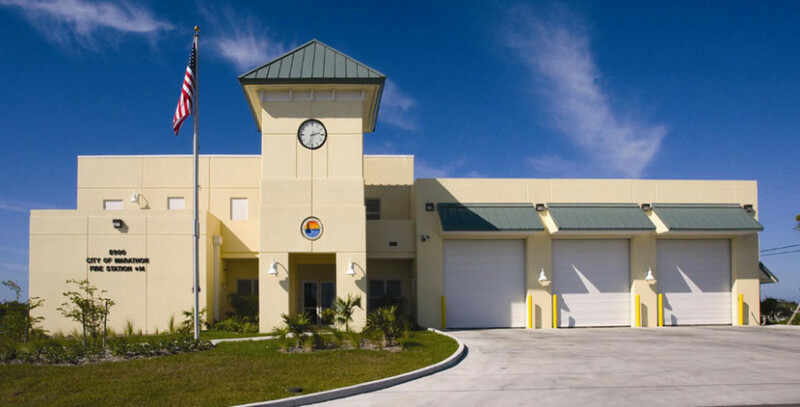 Hurricane Wilma had completely destroyed the old fire station and our Firm was commissioned to design a new 19,500 square-feet, two-level, fire station, and EOC facility as a fast-track project. The City wanted the project designed and built in twelve months, and so it was. The facility includes an Emergency Operations Center, three apparatus bays, eleven private sleeping quarters, exercise room and a hazmat decontamination chamber. The structure is designed to withstand not only 200 mile per hour hurricane winds but also a 500-year flood event. The Emergency Operations Center component consists of about 1,000 square-feet and is designed to serve as a Community Room, Conference Area, and Training Facility when not used for EOC tasks. The center is designed with a flexible and extensive communications system accessible from different room configurations (work areas, press areas, etc). This room allows for food preparation and includes a folding partition capable of providing an area for resting, or a component for privacy. The EOC room has its own dedicated electrical, telephone, communications, and HVAC system. The entire building is powered by an electrical generator. The project was designed and constructed utilizing precast concrete panels. This methodology allowed the entire project to be constructed in one year from design to C.O. and came in approximately $1 million under budget.